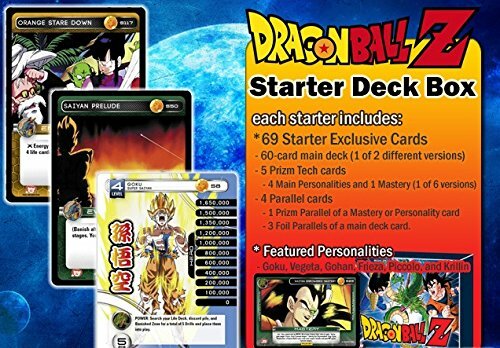 The fan-favorite Dragon Ball Z card game, originally released in 2000, returns with brand new cards based on the shows iconic anime characters. Completely compatible with original Dragon Ball Z cards and adds to an already successful and balanced card pool . Easy to learn and captures the look and feel of the popular series for new fans. Brand new personality and mastery cards bring fresh deck strategies for returning players. Designed and play-tested by an experienced group of Dragon Ball Z players, including the 2001 World Champion.